It is your lawful right as an employee to receive remunerations for the service you render. It is very vital that you are paid what you are due and not cheated in any way. 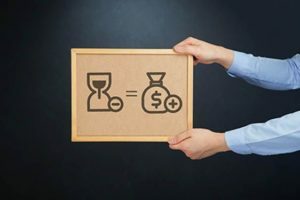 Sadly, there are several cases of pay denial when it comes to overtime services; some employers try to avoid paying completely or even paying at all for the services that they have received. As an employee who has undergone such ordeal, it is recommended that you reach out to a competent attorney who will help you understand the law, as to what it is you can and cannot do about the condition of things. Your counsel will also go lengths to ensure that all the necessary documents required for the satisfaction of your case are availed, and properly reviewed in order to create for you a solid case.Rawa Law Group is one of the foremost law firms in California; we are revered in the legal industry for our inimitable success through the years. Our Wage and Hour attorneys in Compton have a combined experience of 55 years; it speaks of their vast wealth of legal skill and expertise garnered through the years. We don’t press for upfront payments before taking on your case, rather we wait till we have won you the compensation you deserve before doing so, that way you have nothing to worry about. Reach out to us today for a FREE case evaluation; we would be thrilled to hear from you.